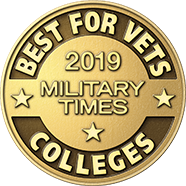 Red Rocks Community College has been selected as one of Military Times' 2019 Best for Vets Colleges! Military Times surveys hundreds of colleges across the country each year and ranks them in the areas of university culture, academic quality, outcomes, policies, student support and costs, and financial aid. This year, RRCC is ranked 16th among all two-year colleges in the United States. Welcome to all of our military veterans, those of you still serving, and our military families and friends. At RRCC, we appreciate and value your service to us all, and we are committed to supporting your academic and career goals. Our Veteran Services Office is here to help you through the traditional college processes as well as provide a comprehensive overview of VA educational benefits. The mission of the Red Rocks Community College Veteran Services Department is to ease the transition from the military environment to the learning environment by assisting those presently serving and prior-service military members and their dependents with understanding and applying for their GI Bill®education benefits, connecting these students with on-campus and community based resources, and by creating an environment of support and community. Connecting students to campus experts in Admissions, Advising, Financial Aid, Personal Counseling Services, Accessibility Services, Testing Services, and Career Services. Referrals to campus and community resources. Support and campus activities to ease the soldier-to-student transition. Promoting camaraderie among military students through organized student veteran and military associations. Access to Military and Veteran Student Center. 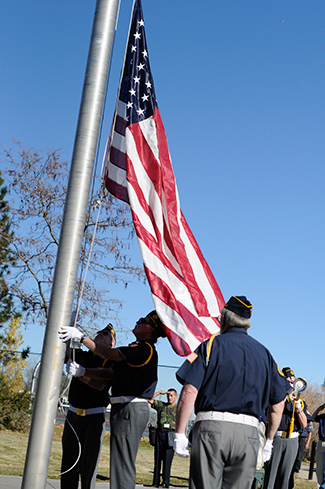 A place to study, mingle and learn more about veteran-related events and resources. Connections with off-campus Veteran Services Organizations to help ease the transition from service member to student. Did you know that you could receive college credit for knowledge gained through your military training and experiences? Click here to learn more! Tuesday, April 23, 2019 - Lakewood Campus, Room 1009, 3 - 4 p.m.
Wednesday, April 24, 2019 - Lakewood Campus, Room 1012, 1 - 2 p.m.
Veterans are encouraged to bring their current resume. Please contact Rita Case in Veteran Services for more information. College Score Card The College Scorecard is a consumer planning tool and resource that assists prospective students and their families when evaluating colleges and universities. The College Navigator is a consumer tool that provides school information such as tuition and fees, retention and graduation rates, financial aid, student loan default rates and features a cost calculator and school comparison tool. The Financial Aid Shopping Sheet is a model aid award letter designed to simplify the information that prospective students receive about costs and financial aid so they can easily compare institutions and make informed decisions about where to attend school. The Paying for College Website can be used by prospective students to enter the names of up to three schools and receive detailed financial information on each one and to enter actual financial aid award information. *Red Rocks Community College participates in the Principles of Excellence, 8 Keys to Veterans' Success, and Servicemembers Opportunity Colleges. *GI Bill® is a registered trademark of the U.S. Department of Veterans Affairs (VA). More information about education benefits offered by VA is available at the official U.S. government website at http://www.benefits.va.gov/gibill.